Best desktop deals with Intel Pentium Quad Core G4560 processor (3M Cache, 3.50 GHz), ASRock H110M-HDV Micro ATX DDR4 Motherboard & Intel HD 610 graphics at your budget. 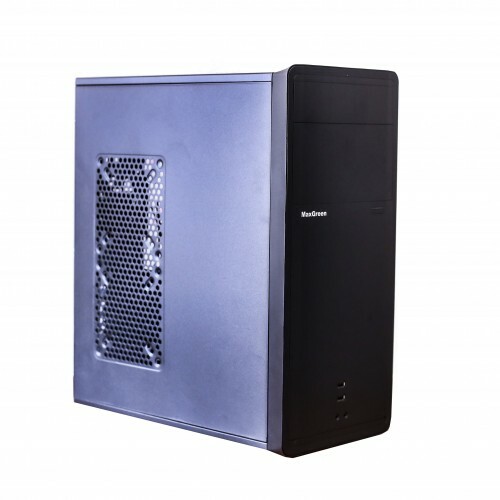 This PC is also equipped with high speed GeIL PRISTINE 4GB 2400MHz DDR4 RAM, Toshiba 1TB Sata Desktop Hard Disk for having fast work for home entertainment & office. This efficient configuration includes MaxGreen 2809BK Casing, USB Keyboard with water drain technology wireless optical mouse and an optical drive. All the parts fall under maximum 3 years of warranty facility.This Star PC has Asus DRW-24D5MT 24x DVDRW SATA optical drive. Use PC builder of Star Tech and have best priced quotation from our desktop experts. You can clear your confusion that comes in your mind anytime by asking at hotline or social media. All the PC experts are providing optimum solution continuously for your support. Order online from Dhaka, Rangpur, Chattagram, Rajshahi & Sylhet and have the delivery at any destination inside Bangladesh.